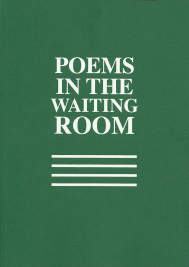 "Poems in the Waiting Room" the Collected Edition, is available only from PitWR, priced £16.50. The 104- page A4 sized softback book presents every quarterly issue of Poems in the Waiting Room published from Autumn 1998 to Winter 2010 - fifty short collections of poems selected for their power to help the patient. An Introduction sets out a brief history of our Arts in Health charity that started as a simple scheme in and around Kew Gardens, in London but which spread, often by word of mouth, to become the most widely read national poetry publication and the most extensive Arts in Health programme in the NHS. Sales of the Collected Edition will help to keep PitWR going. A full listing of all the poems we have published, including those in the Collected Edition plus those published since 2010 is available to download as a spreadsheet from the link below.